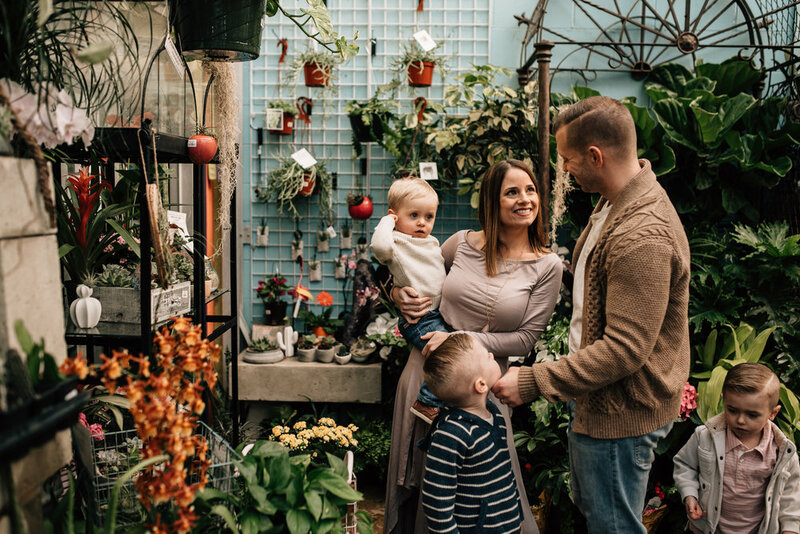 I had such a fun time following this family around Oakland Nursery for some spring photos! It was a cold day but we ended the session in the green house and the boys loved it. I remember when we did this session, we felt like we would never ever see summer because it was such a cold spring! I'm so glad summer is finally here and we can soak up the sunshine! Thank you so much, Nicole and Ryan, for allowing me to document your sweet family.